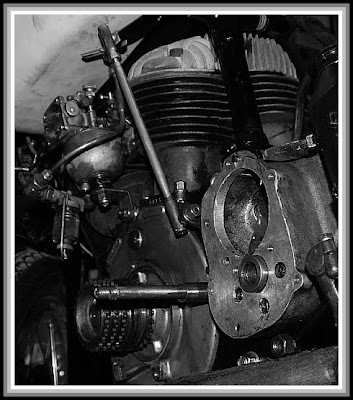 Came across these pictures of Indi's Scout motor, they really convey something of shed life. 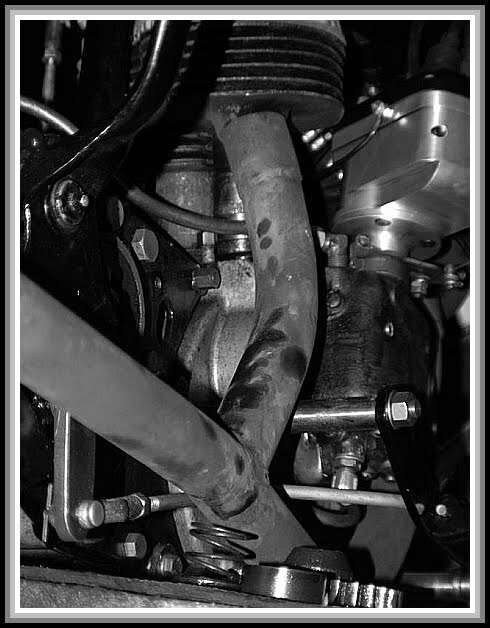 The metalness and the oily fingerprints seem to sum up the bike building experience. These terrific pictures were taken by Bob/Stockers using the illumination from Indi's Military 4's headlight. If you like these, there are some more on the Cool Bikes page.